By now more than a few people know that I have a habit of going on very long book tours. But in case you do not, I’ll fill in a little background. It took me eleven years and seven unpublished novels to land my first publishing contract. After that amount of time (and rejection), you want to do everything you can to make your book a success once it does finally come out. In my case that meant renting out our house, trading in two cars for an SUV that could handle Denver in February, pulling the kids out of first and third grades, and hitting the road for seven months and 35,000 miles. My husband worked from the front seat. No, I’m kidding, he’s actually in IT, but still—you can tell we were all in. 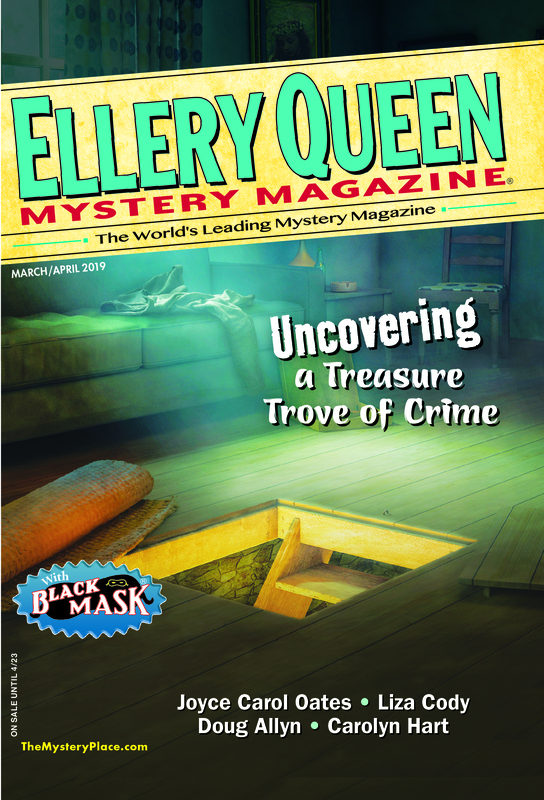 It probably won’t come as a surprise to readers that the publishing world is in something of a whirlwind these days, and that applies to mysteries as well. Old and lauded imprints dying dinosaur deaths, new presses cropping up like mushrooms, authors deciding to publish themselves. It’s hard for a writer to know what to do, what might help bring about a lasting career, if indeed anything will. Some say that luck and timing play more of a role than any marketing maneuver—and even, arguably, the quality of the book itself. But I tend to be a take-the-reins kind of person, and anyway—I was certain I would enjoy the kind of work that goes into a tour, even though every person I spoke to swore I would be sick of the road after two weeks, walk into a lot of empty rooms, and suffer food poisoning from all the burgers-on-the-run we’d have to eat. Even my publisher begged me to stay home. And I was paying for the trip! Imagine my surprise when nearly 200 people filled the seats at one of my early events in Oxford, MS. My independent publicity firm set up this appearance at a combination live radio broadcast/book signing hosted by Square Books. A fair portion of the town waits avidly for this monthly night out—and I got to be the headliner. And that wasn’t the only time I was made to feel like a star as a virtually unknown newbie author. I stood in front of the Atlantic Ocean for Litchfield Books’ Moveable Feast on Pawley’s Island in South Carolina and spoke to a roomful of 150 guests who munched a three course lunch as the sea swelled behind us. They weren’t even distracted from my talk by the magnificent view. Or the chocolate fudge pie! It turns out that something in our increasingly virtual, always connected lives has made room for a tour of this kind. For a sense of true connectedness beneath the glossy Facebook likeness of it. Shaking the real life, flesh and blood hand of your reader, then hearing a story of theirs after they have listened to yours, is something a lot of people seem to hunger for. Sure, I walked into a sparsely attended event (or twenty), but when you do 150 such nights, you can afford a disappointing turnout now and again. I also found that what was disappointing numerically often translated into particularly memorable along other dimensions. There was the time when the sole attendee shared with me that her son had killed himself—she said it just like that—the year before. My first suspense novel opens with a heroine’s jarring loss and the cloudy assumption of suicide, and at first I wondered why this person had chosen to venture out on such a forbidding, snowy night to come see me. But she told me that my novel had gotten her through the harrowing year she’d been forced to endure. That the grief in my book felt so real, it helped to ease her own, or at least let her share it. Would this woman have opened up to me like that online? I don’t think so. Not in the same way anyway. Even if she had, the exchange that followed between us would never have happened, one so personal and intimate, I could never write about it. There’s a robust in-person event and bookstore scene that the ubiquity of Amazon boxes with their smiley Prime logos doesn’t hint at, and which I never would’ve discovered if I hadn’t hit the road. Mystery bookstores as well as more general-focus ones attract crowds. The mystery/suspense/thriller community has always been a welcoming one—just go to ThrillerFest or Killer Nashville, Malice Domestic or Bouchercon—but what I didn’t realize is that this sense of camaraderie extends to every quiet corner of the country, everywhere you can find a reader or a book. When I came back from the first Magical Mystery Book Tour, my debut had gone into six printings in hardcover. My publisher said that if I felt like going out again with my second release, they wouldn’t beg me to stay home this time. And when my third book came out last year, they helped set up a portion of the tour. All told, my family and I spent fifteen months on the road, discovering the sites and sounds of this country, meeting readers one by one by one. It’s not such a mystery, really. This entry was posted in Books, Bookshops, Business, Guest, Writers and tagged books, bookstores, crime, fiction, mystery, publishing, readers, suspense, tour, writers. Bookmark the permalink. Jenny, you’re a shining pioneer in Magical Mystery Book Tours. If I were a lotta years younger, I might try it myself. I’m anxious to hear about your next tour, and I hope Texas will be on your schedule. Earl, real life hero to the fictional one in my second novel, it would not be a MMBT without seeing Texas–and you! Thanks for being a part of things from very early on. What commitment, Jenny! And congratulations all the way around.